The Dr. Dave Band plays with Dave “Dr. 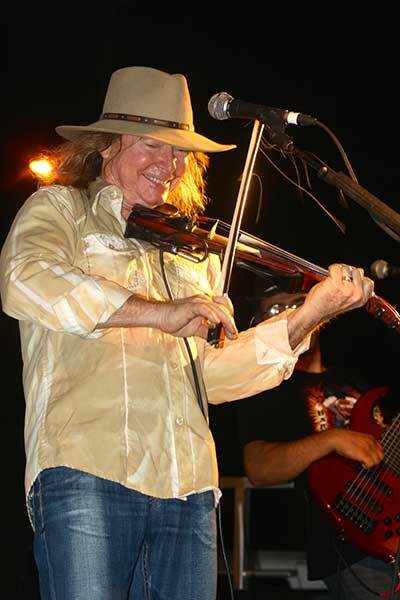 Dave” Ferguson, who gives his fiddle a workout during the band’s comeback performance after a two-year absence from the music circuit. 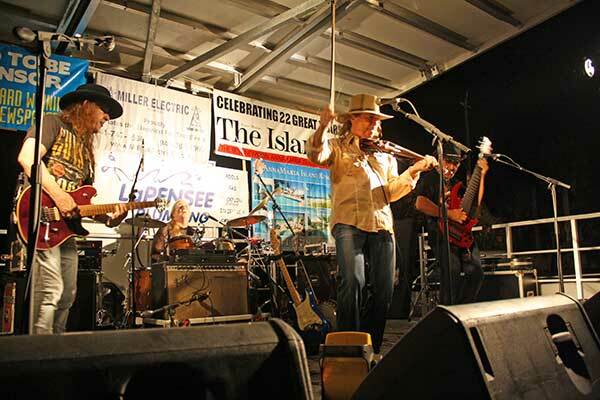 The group closed Bayfest 2014 to the delight of a large crowd and many longtime fans. 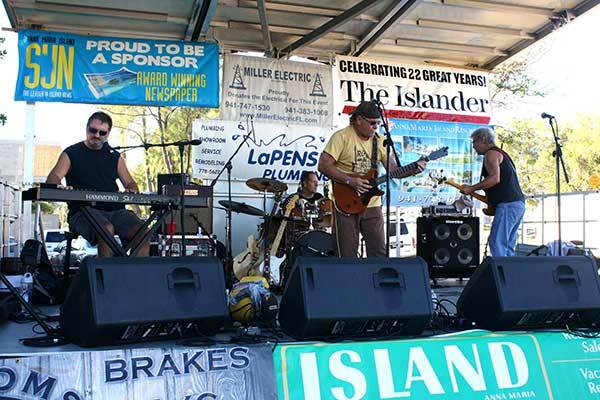 Scott’s Garage entertains the Bayfest crowd the afternoon of Oct. 18 in the park at the intersection of Pine Avenue and Bay Boulevard. 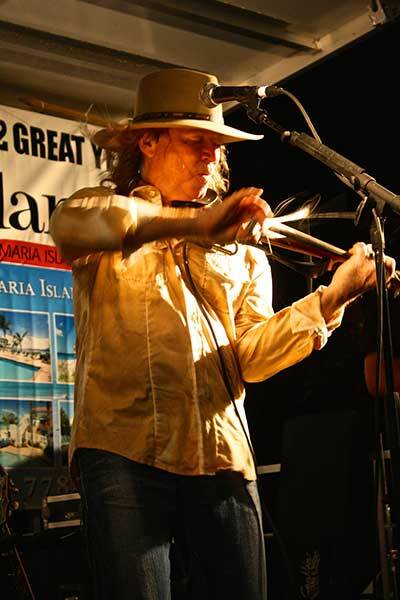 The 14th annual event was again put on by the Anna Maria Island Chamber of Commerce and its volunteers. 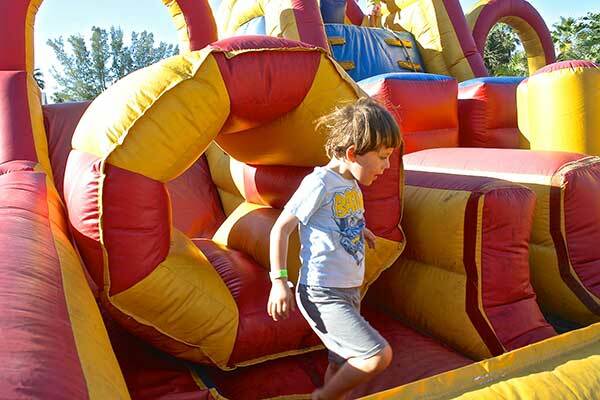 Finn Arnold, 4, of Holmes Beach, frolics in the kids’ area, sponsored by AMI Fitness at Bayfest. 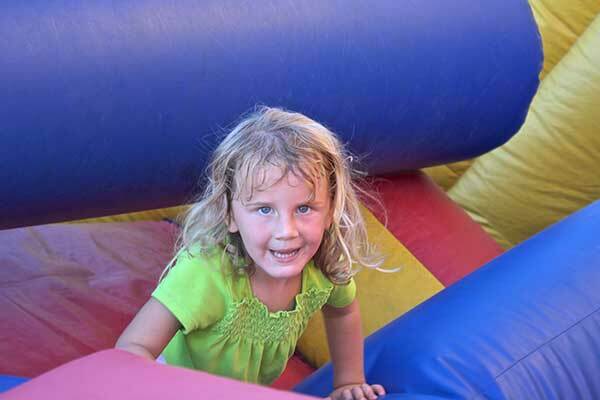 Elisabeth Ten Haaf, 3, of Anna Maria, bounces her way through the inflatable playhouse sponsored by AMI Fitness at Bayfest. 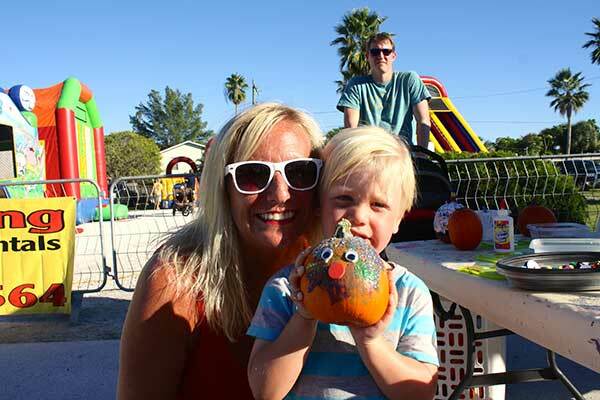 Torey Anderson of Chicago and son Gavin, 3, visiting family members in Bradenton, show off the pumpkin face they painted in the Bayfest Kid Zone. 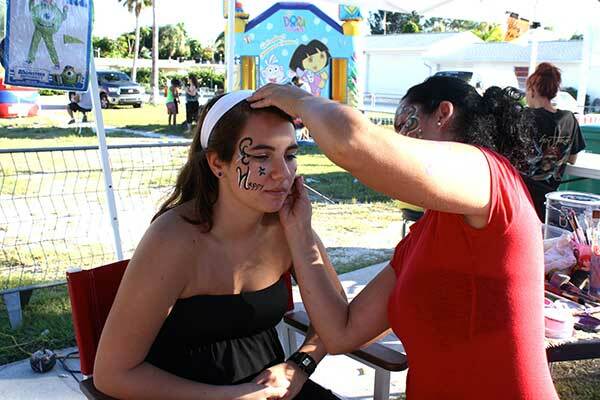 Cortni Wash, 15, of Holmes Beach, got her face painted by Anna Bazquez at Bayfest. 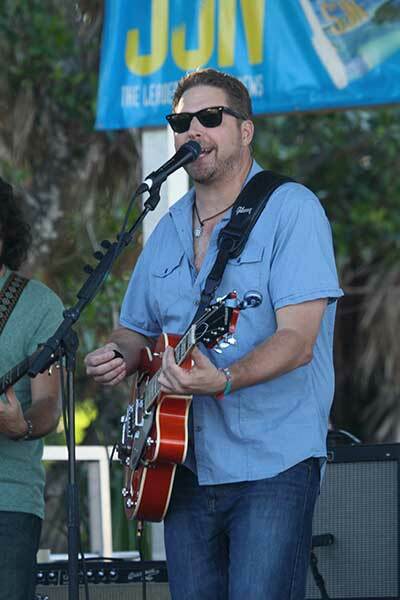 Mike Sales emcees and plays for Bayfest Oct. 18 — he contributed a few tunes of his own and introduced musicians to the audience. 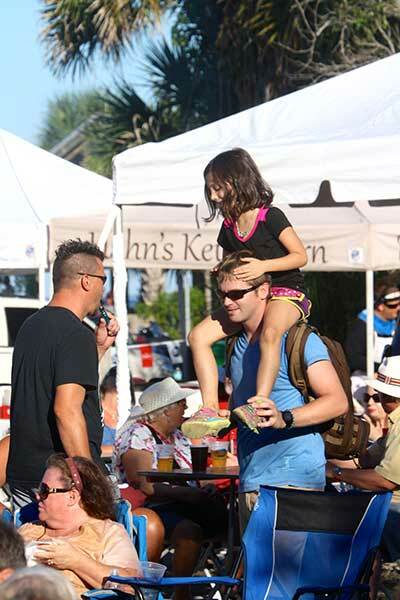 Alex Hinders and daughter Nateline, 6, of Bradenton, groove Oct. 18 to the sounds of Bayfest. 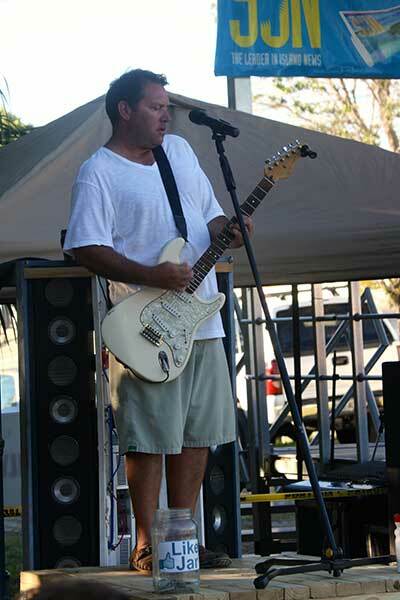 Dana Lawrence, lead vocalist and guitar player for Kettle of Fish, belts out a blues tunes at Bayfest. 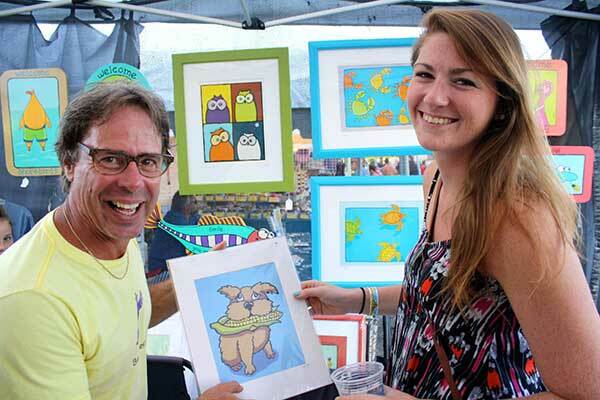 Richard Lamson of Birdville Art shows off one of his works to Leah Hayes of Bradenton on Pine Avenue at Bayfest. 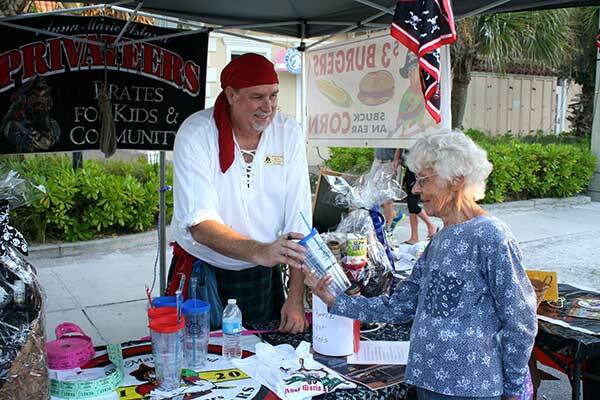 Bill “Sparkles” Rosencrantz, vice president of the Anna Maria Island Privateers, shows off some of the Privateer treasure for sale at Bayfest to Helen Landis, a tourist from York, Pennsylvania. 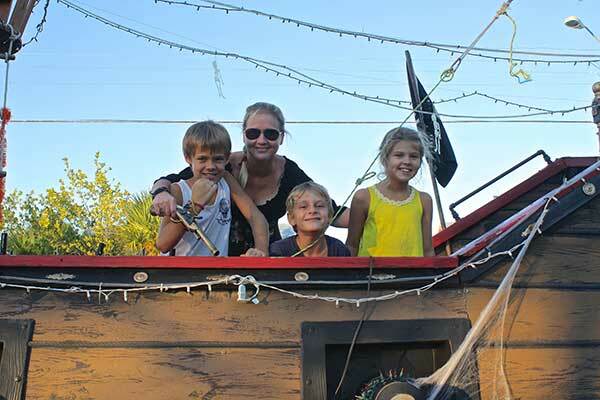 Anna Maria Island Privateer Jan “Sleeping Beauty” Hyatt gives a tour of the Skullywag at Bayfest to Gillian, 8, Matthew, 6, and Maggie Yerkes, 8, of Holmes Beach. Would have been great if the hard work putting on the Classic Car Show would have also been mentioned. These guys & gals do a lot of hard work putting this one on., and there were some beautiful cars that participated.